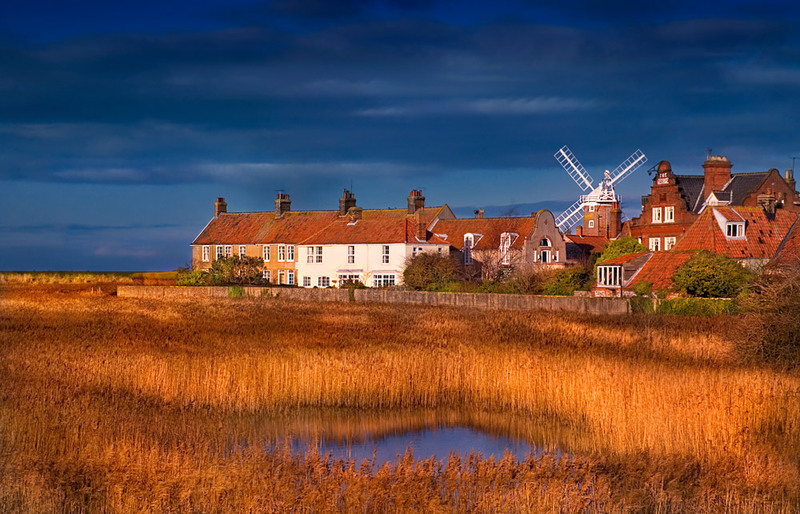 Once, the villages of Blakeney, Cley and Wiveton comprised the Glaven ports, around the mouth of the River Glaven. 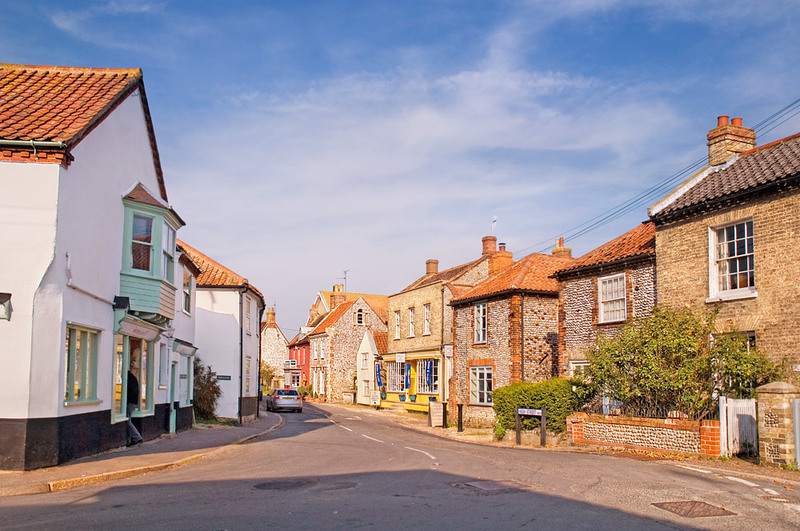 During the medieval period Cley was once a very important English port, trading with the Low Countries in agricultural products, fish, coal and cloth and was indeed ‘next the sea’ which it is no longer. The whole area gradually became silted up and thus home to the many varieties of birds that can now claim the saltmarshes as home. Nowadays, it earns a living from tourism. 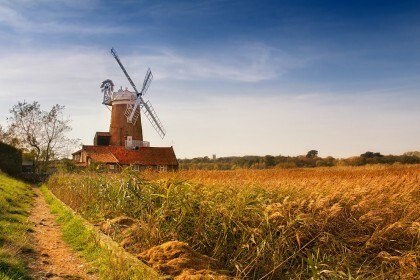 Apart from the famous windmill and church, it truly deserves the designation ‘Area of Outstanding Natural Beauty’. Walking at Cley: A walkers’ paradise, from the unambitious to the most determined, Cley is on the Norfolk Coastal Path which links to the Peddars Way National Trail at Holme Next the Sea. The beach is mainly shingle which can be hard on the legs. But what views! The vast ocean, cold and pristine, will cover you with salty spray. The sea rustles and lightly draws its breath again as it retreats. Birds whirl and whoop. 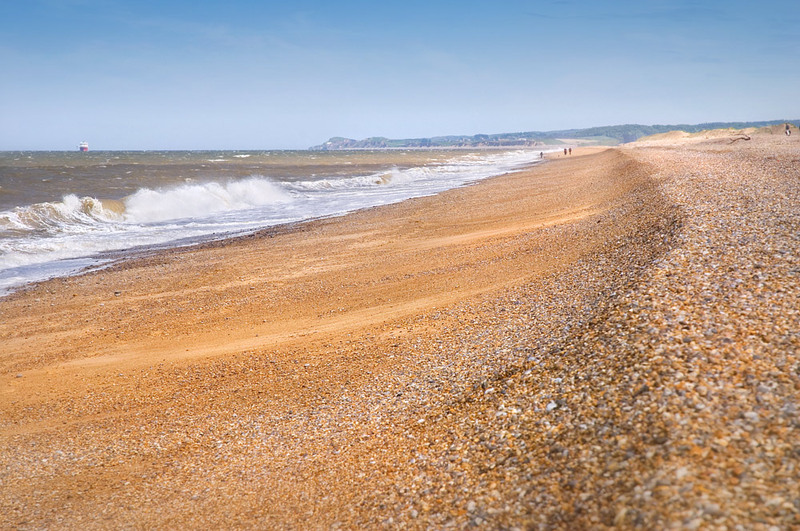 Parking at Cley: There is parking at a pay and display on the beach. 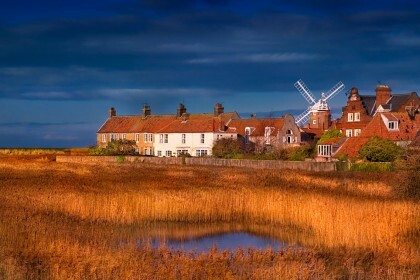 To watch: Cley next the Sea is a bird watching site of international importance, all the year round. Here you can see Grey Plovers, Black-tailed Godwits, Spoonbills and several types of Waders.